The lawmaker representing Imo North senatorial district in the National Assembly, Benjamin Uwajimogu, has advised the Imo State Governor, Chief Rochas Okorocha, to leave the All Progressives Congress, APC, and join his son-in-law, Uche Nwosu in the Action Alliance, AA. Uwajimogu, who is the APC candidate for Imo North in the 2019 election, also described the National Chairman of the APC, Adams Oshiomhole, as God-sent for ending Okorocha’s third term agenda. Speaking with Sun, the Senator described Okorocha as a drowning man, adding that there was no way the Governor can realise his dream of making Nwosu Imo Governor. He said, “I’m happy that the burden called Uche Nwosu is removed from Imo APC’s neck. 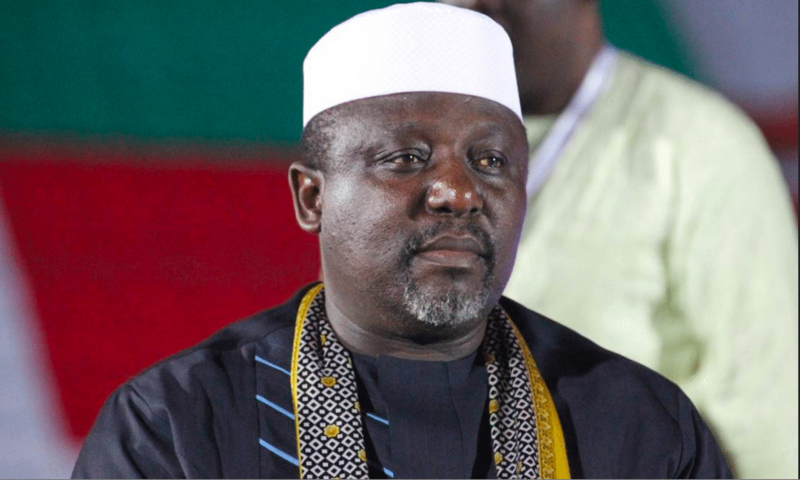 “Okorocha has boasted that he will work to actualise his third term bid in AA, but that is the words of a drowning man. “Okorocha and his cohorts are leaving in fool’s paradise to believe that he can realise his ambition through another platform. “I think the best he should do is to leave APC completely and join his son in-law in AA to test their popularity instead of dwelling on false hope. “The game is over for him and his co-travelers who think that the state was in their pockets.